In its final year before a complete redesign, the 2015 Pilot is now offered in a value-oriented SE trim level that adds a rear-seat entertainment system, a power sunroof, satellite radio, and unique wheels to the Pilot EX model. Honda expands the 2015 Pilot lineup this year, increasing the number of trim levels to five: LX, EX, SE, EX-L, and Touring. For a 10-way power driver’s seat, a programmable universal remote control, automatic headlights, fog lights, nicer trim, and 18-inch aluminum wheels, choose the Pilot EX. This year, the new Pilot SE builds on EX equipment with satellite radio, a power sunroof, a rear-seat entertainment system with a 115-volt power outlet, and a special wheel design just for this version of the SUV. For leather seats, select the Pilot EX-L. This version builds from the Pilot EX with leather, heated front seats, a power sunroof, a power tailgate, an auto-dimming rearview mirror, and a better stereo. The EX-L can be optioned with a choice between a rear-seat entertainment system or a navigation system, but not both. The top-of-the-line model is the Pilot Touring, featuring both the navigation system and the rear-seat entertainment system, plus a premium audio system, front and rear parking sensors, unique wheels, and more. 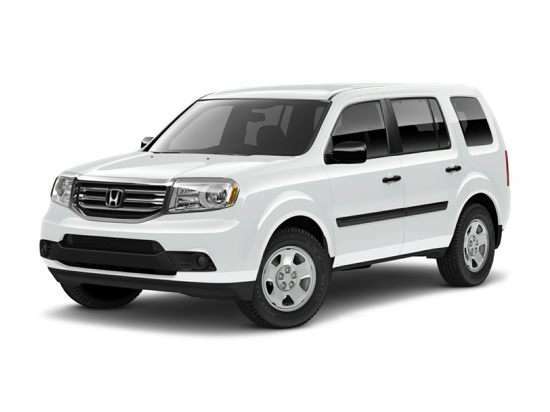 Every 2015 Honda Pilot is equipped with a 3.5-liter V-6 engine generating 250 horsepower. The standard Variable Cylinder Management (VCM) technology operates the engine on fewer cylinders under certain driving conditions in order to conserve fuel. A 6-speed automatic transmission and front-wheel drive are standard, but all versions of the Pilot can be upgraded to Honda’s Variable Torque Management 4-wheel-drive (VTM-4) system and a heavy-duty automatic transmission fluid cooler. With VTM-4, the driver can lock the power split evenly between the front and rear wheels, and at lower speeds. In combined city and highway driving, the Pilot is expected to return 21 mpg, according to the EPA. With the optional 4WD system, the rating slips to 20 mpg. The Pilot’s underlying engineering dates to 2009, so it should not be surprising that its structure is not quite as stout as newer competitors like the Toyota Highlander. Still, with a single exception, the Pilot performs well in crash testing. The NHTSA gives the Pilot a commendable 4-star overall rating, while the Insurance Institute for Highway Safety (IIHS) gives the Pilot the top rating of “Good” in all except one assessment. In the small overlap, frontal-impact test, which is designed to measure protection in the event the vehicle collides with a tree, a pole, or oncoming traffic on the left front corner of the vehicle, the Pilot earns a “Poor” rating. On the technology front, what’s notable about the 2015 Pilot is what’s not available, rather than what is. You can’t get a blind-spot warning system, or a rear cross-traffic warning system, or a lane departure warning system, or a forward collision warning system. The automaker’s HondaLink connected services technology is also unavailable for the Pilot.